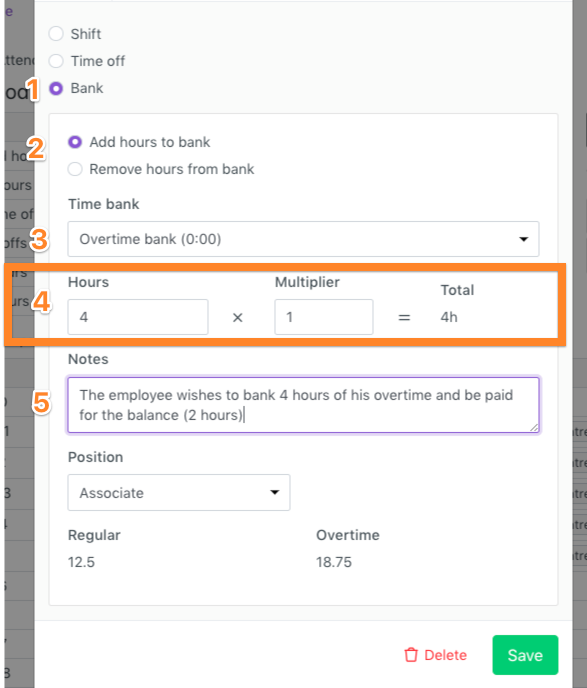 Instead of banking all overtime hours, it is possible to bank only a portion of them so that the rest is paid to the employee. This employee worked 46 hours during the week (40h regular time). On the 6 overtime hours that she worked, she wished to bank 4 of them and be paid the balance (2 hours). Once the time entry complete. The hours banked will show in the timesheet for the employee to consult.